If you need to know whether or not tofu is a vegetable, the quick answer is no, tofu is not a vegetable, but hold on, wait up, that's not really the answer you were looking for. Most people who are wondering whether or not tofu is a vegetable are really wanting to know something else, for example: Can vegetarians eat tofu? What exactly, is tofu? Keep reading to find out. 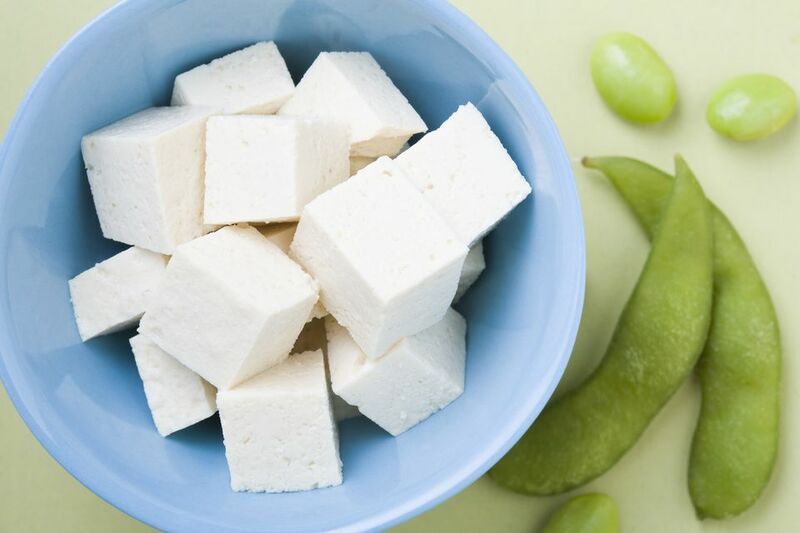 Tofu is actually made from soybeans, which are, well, beans! So tofu isn't a vegetable, in that it doesn't grow in the ground but rather comes from beans, which grow in pods. Some people consider beans to be a type of vegetable, so if you believe that beans are a vegetable then you might consider that tofu is made from vegetables, but really, it's made from beans—soybeans, to be more specific. Vegetarians eat plenty of foods which are not vegetables. Bread, for example, is not a vegetable, and neither is rice, pasta, noodles, or sugar, for that matter, but these are all vegetarian foods. Vegetarians don't eat meat, that is, the flesh and muscle of dead animals, but by definition, everything else is fair game, including fruits, grains, beans, milk and dairy products, and yes, vegetables and also tofu! Whether or not tofu is a vegetable, it certainly isn't a food that vegetarians would avoid, because it isn't an animal, and, because it doesn't contain anything in it that even came from an animal (such as milk, dairy, or eggs), it's also safe for vegans to eat. There are lots of good reasons to include tofu in your diet (if you want to), since it's a great source of low-fat protein for vegetarians and vegans, it's very cheap and readily available, and, you can do lots of different things with it from baking to frying to turning it into a sweet pudding dessert. Bake it, fry it, blend it, grill it, turn it into a pie, stir-fry it, scramble it, or eat it for dessert! Usually, you'll also want to press your tofu first.